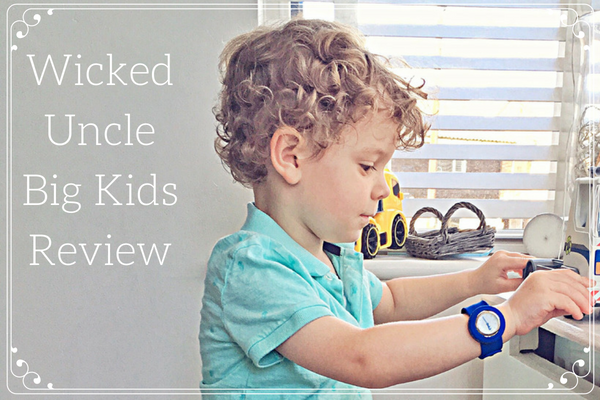 This isn't the first time you will have read about Wicked Uncle on this blog - a few years ago I wrote a post about whether children's toys should be based on age, ability or interest and we had a look at some of the fab items available on the website, grouped by age, which Arthur still plays with to this day! Wicked Uncle have now launched a new section on their site which is aimed at 'Big Kidz', for ages 13-33 ... which is lucky, because that last number just so happens to me my age! As I am sure you can imagine, if I am browsing anything 'toy related' online then Arthur is never too far behind! In this case, hanging over my shoulder pointing out everything that he wanted me to buy!! Although there are some amazing options available for 'Big Kidz' such as a motion controlled drone, IQ brain teaser, bluetooth speakers and a James Bond Aston Martin DB10 motorised model with lights and theme tune sound (Sorry husband!!) 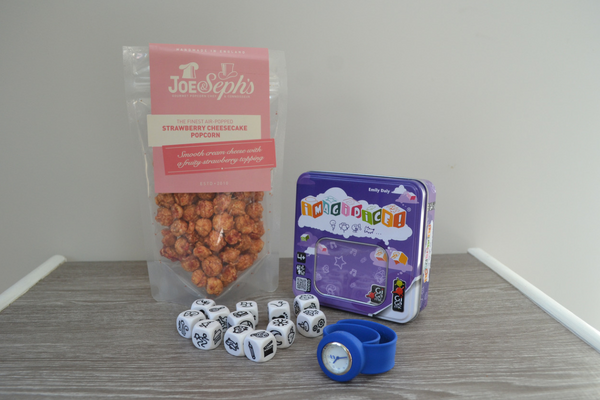 - parental guilt got the better of me when ordering and I decided to chose some items that us Big Kidz could use alongside the little kidz who also occupy our space! Slap bands or slappies are pretty timeless aren't they?? I don't think they have ever really left the scene. I had a multicoloured slap band as a child which I kept for years and loved! Arthur recently got his first slap band which was a silicone blue band with a silicone shark attached to it. He kept pretending it was his 'watch', so I knew as soon as I saw this actual watch I HAD to get it. The slap strap is actually a pretty genius idea as it fits any size. 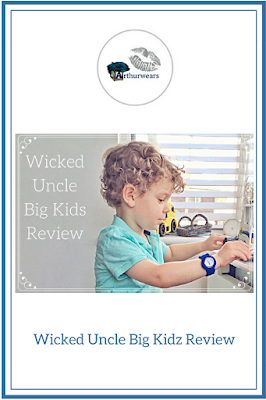 Perfect for someone like me with little wrists, fits my husband just fine and of course - works for Arthur too. Lets be honest, although I thought I would be able to wear this myself alongside Arthur's shark slappie (hey, we could be matchy matchy) it was never going to happen! Arthur has fallen in love and the responsibility of having a REAL watch which he has to take care of properly is working out quite well. It had actual numbers on too rather than roman numerals which is great for number recognition and helping Arthur to tell the time. This one is water resistant to 30 metres, has Japanese watch movement and a stainless steel bezel. 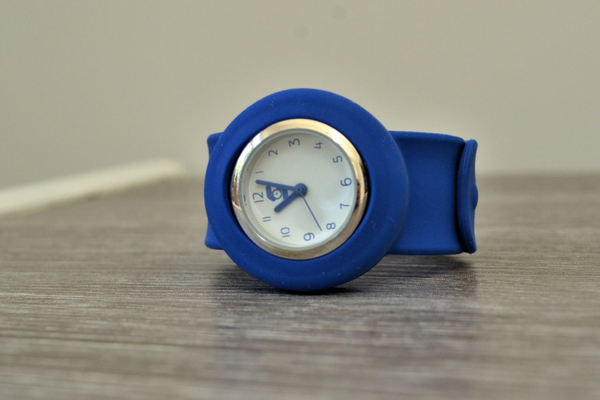 To change the time you just remove the watch from the silicone casing and then pop it back in. You can even add the watch to different coloured straps - there is a pink one available on the website too! 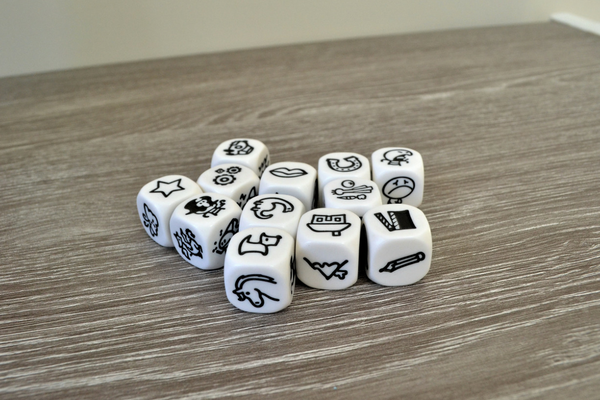 Using your imagination is important at ANY age, and these cubes have 72 different images on 12 dice, so the possibilities are endless! Arthur is always asking me to make up stories and this gave me the the little extra scaffold I needed and also meant that I could involve him in how to structure and think up a story himself. There is a booklet inside the tin with a key for all of the images, but of course, the great thing about using your imagination is that you needn't stick to it! For example, one of the images we rolled was a horseshoe which meant 'luck' but Arthur wanted to tell a story where the horse lost his shoe - so we changed it! This is a lovely little activity for us to do together when Charlotte naps and it reignited the love of stories for all ages. Perfect for taking out and about too - as long as you don't lose any! 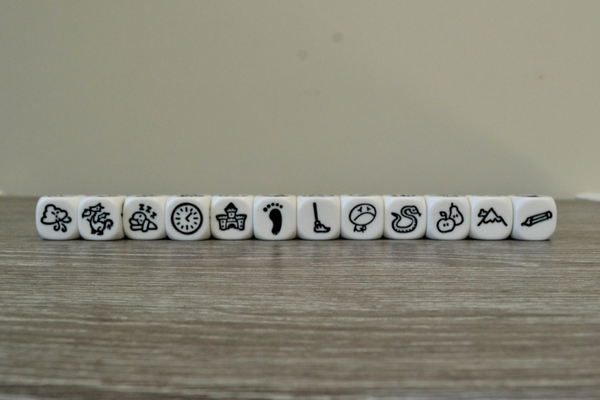 What story would you tell using these 12 images?? Ok so this was a little bit of torture for me as I LOVE cheesecake but I am dairy and soya free at the moment which meant I couldn't have any myself but it smelt amazing!!! They also do a marmite flavour which was just as tempting, but I let Arthur choose and he decided on this one. It has no artificial colours or preservatives, and is handmade using all natural ingredients by a company called Joe and Sephs. 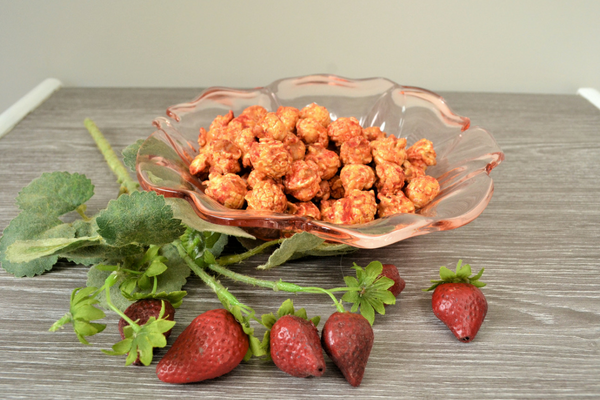 It makes movie night just a little bit more special with the fun and interesting flavours!! I'm definitely ordering this again in the future once I am able to have dairy again. If you are wondering what to buy for a 'big kid', or even a little kid, then you should definitely pop over the the website and have a browse. Delivery in the UK is £2.95 regardless of how many things you order at once so it is definitely worth getting everything you need in one go. They do have faster delivery options available for a little more money but I found the standard delivery to be fast,simple and well packaged.